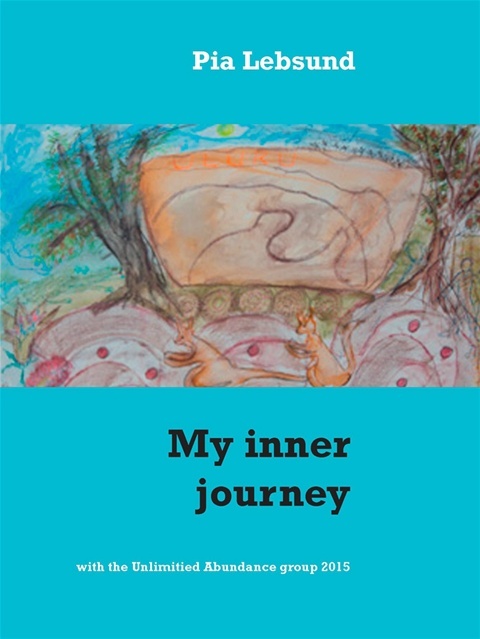 My inner Journey is a short book from a gift came to me in the unlimited abundance group. This is for the group or you that meditated more then 20 year's and are healthy.I draw all illustrations from the places I made deep transformations in my own meditation technique and guidance that I shared in this group. Just a few situations is in this book. For you that never meditated this can be very hard to understand. Also a warning for sensitive people to join this kind of groups because very hard challenging comes in the procress. A lof of people was getting sick and felt bad while their where healing and also out of this group for certain kind of time with no warning. This is not a journey with a secure therapist leading you on this. It is up to you to make the best of it. I am not recomminding people that is having dangerous diseases in heart , epelepsy, mental illness and similar to join this. You will not have a proffesional guidance. I am a wellness therapist myself and do my own guidance total different. Autistic persons I guide in my own method module 1,2,3 that is a 30 year´s long experience that I had in my professions in special peadagogics and research. Please separate this .Copyrighted material by Pia Lebsund. All rights copyrighted, text, pictures in the book, homepage, webinars. bloggs and more, 2015. That means also material that I made from1995-2015. I worked with spiritual healing for over thirty year´s active in many ways. Different meditation. Tao, qi-gong,dancing different dances,ritual theatre,painting, symbols,chanting, writing, singing, ceramics,making photos and active helping near friends and kids with special needs. This is a bridge to heal me in all aspects in my life and I have also academic tools that I use in my profession. but it is important for me to clearing my blocks from this and past lifetimes even negative energies that was sent in different way that i didn´t want to have. Thank you Christie.-Marie Sheldon for being my teacher in this and all my friends in this tribe. You helped more and other´s didn´t for sure in an inner spiritual way. I am thankful for learning to know you on a soul level.